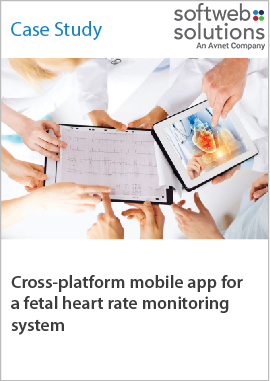 A popular company that manufactures medical devices for hospitals and healthcare centers, created a fetal heart rate monitoring system. It needed an application to access the data that this device redirects to a cloud-based service. The manufacturer approached Softweb Solutions to develop the app. We gave them a highly-intuitive and user-friendly solution to let doctors keep a track of fetuses and provide real-time treatment in case of complications.